"Do capture my best side, please! ", a photo by Cobra_11 on Flickr. 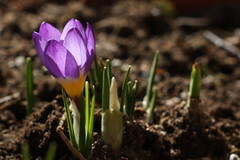 Earth Hour 2011, a photo by Cobra_11 on Flickr. 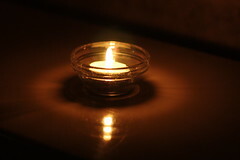 Yesterday from 8.30 p.m. to 9.30 p.m. was Earth Hour. Like so many good things, Earth Hour was born in Australia in 2007 and it takes place every year on the last Saturday in March. I've never missed Earth Hour, so yesterday I turned off all the electrical appliances and lights and went back to basics: I lit two tealight candles and enjoyed a quiet evening. 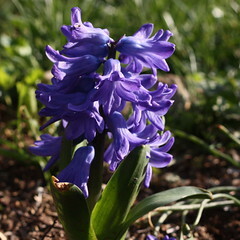 A Little Bit of Spring: The First Hyacinth in Our Garden This Year , a photo by Cobra_11 on Flickr. 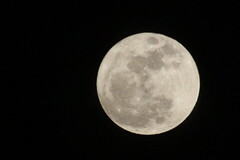 Full Moon Closest to Earth a photo by Cobra_11 on Flickr. a photo by Cobra_11 on Flickr. 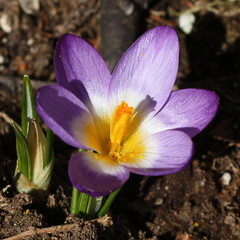 The first crocus this year! 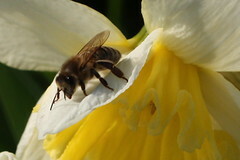 :-) a photo by Cobra_11 on Flickr. Aboriginal a photo by Cobra_11 on Flickr. I love Australia and everything that comes from Down Under. So, after a long search I finally managed to get some colourful duct tape in the colours of the Aboriginal flag. This morning I had a great time making these four wallets. 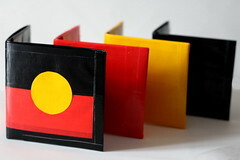 The first one is the "Aboriginal Flag" wallet (the flag is made on each side of the wallet and the two pockets inside are lined with a piece of yellow and red tape), the other three are just plain red, yellow and black. Do you know that every part of the Aboriginal flag means something? The red is for the red land, the black is for the black people and the yellow is for the sun, shining on both, the people and the land.